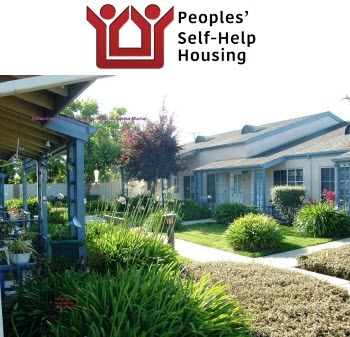 Santa Maria, Calif., June 8, 2017— On June 12, Peoples’ Self-Help Housing (PSHH) will begin to rehabilitate Valentine Court Apartments with upgrades including energy efficiency improvements, new paint, appliances, and an expansion of the community building. Valentine Court is a 35-unit senior affordable apartment complex on East Newlove Drive in Santa Maria, providing seniors with well-designed and safe housing, while creating a sense of community through on-site resident activities, and supportive programs to ensure households can continue to live independently. Valentine Court was originally constructed in 1990 with Community Development Block Grant (CDBG) funds from the City of Santa and the United States Department of Housing and Urban Development Section 202 Program (which expanded the number and affordability of elderly housing with supportive services).